International Hospitality Business: Management and Operations will introduce hospitality managers to the most up-to-date developments in hospitality to prepare you for the rapidly changing world of international hospitality. This book is a compilation of the most current research in global operations. It examines new developments, new management concepts, and new corporate mergers. 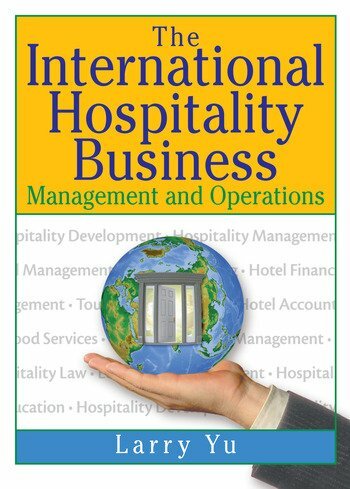 International Hospitality Business analyzes and discusses the complexity of the political, economic, financial, commercial, and cultural environment within which international business takes place to help you become a productive global manager. With The International Hospitality Business, you will examine world travel patterns, major hotel chains, and foodservice companies in different regions of the world to expand your knowledge and help you face the dynamic changing world of international hospitality. While this volume provides you with important, comprehensive knowledge that will help you manage the your overseas hospitality operations in a way that keeps the most important person in any business--the customer--contented.